Why have your morning coffee with your breakfast when you can have it in it?! 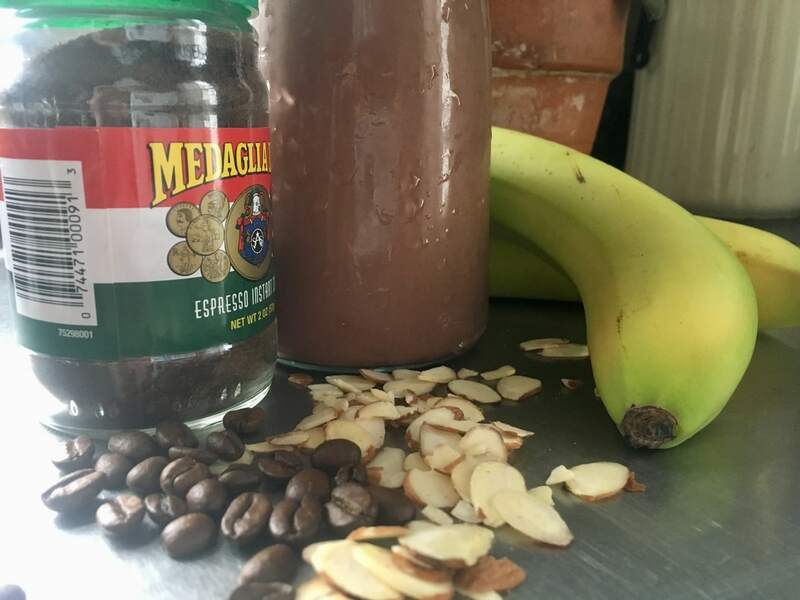 This Mocha smoothie bowl is packed with protein and nutrients that help start your day off in a cool and healthy way! It is also super versatile..you can add in your favorite protein powder, spinach, or peanut butter to give it an even more powerful punch. This smoothie bowl is all that and a cup of joe…or should I say bowl of joe?! So get rid of your breakfast blues by adding this to your morning routine! 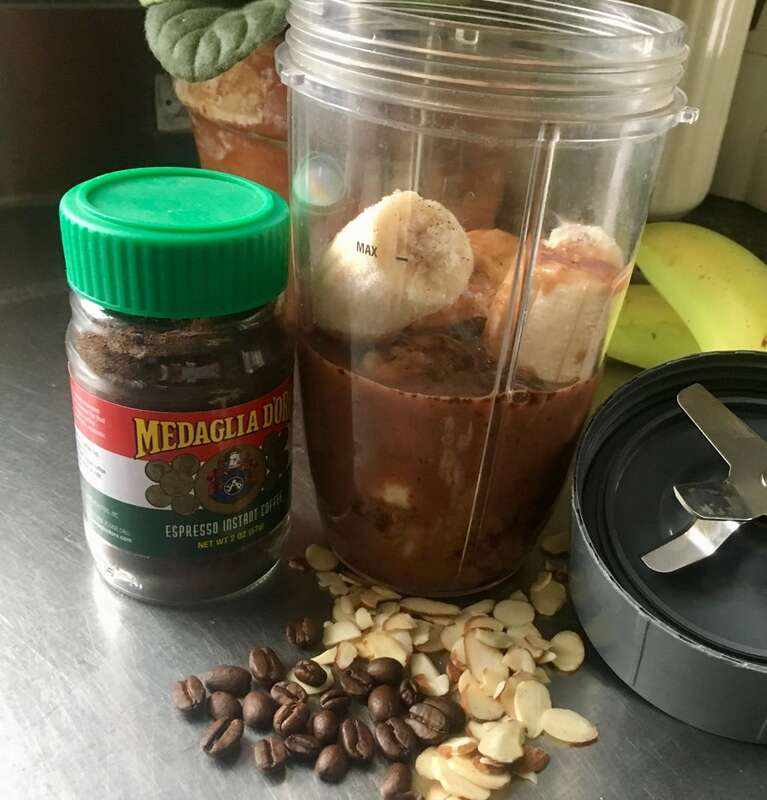 First, you’ll need, 2 frozen bananas, 1 cup chocolate almond milk, 1 tsp espresso instant coffee, and toppings of your choosing on hand. You can use granola, toasted coconut, almonds, chia seeds etc. 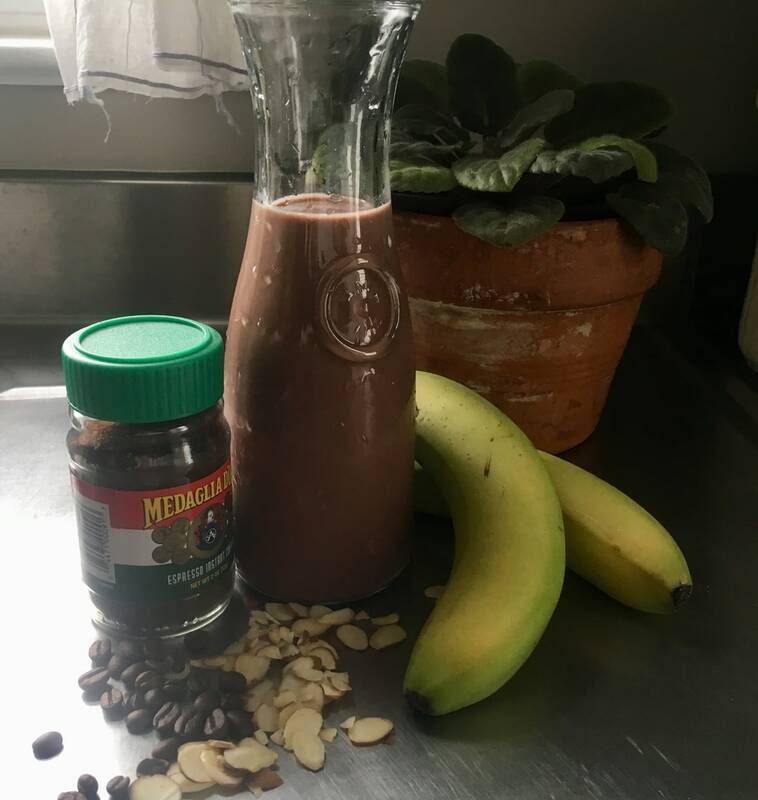 Place your frozen bananas, almond milk and coffee in a blender and blend. You want this to be thick enough to eat with a spoon! Pour into a bowl and top with your favorite toppings…I used toasted coconut, granola, bananas and chia seeds! And voila! You’re done prepping both your morning meal AND coffee. 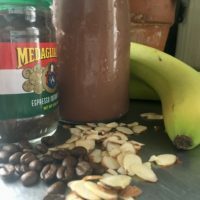 Don't have time for breakfast AND coffee? For those who value efficiency, this morning mocha smoothie bowl is the perfect solution to your morning rush. 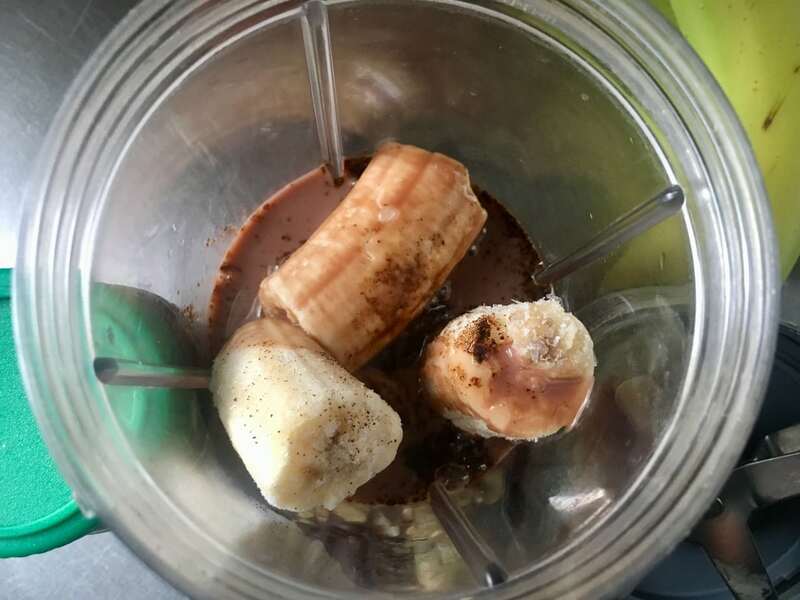 Place your frozen bananas, almond milk and coffee in a blender. Blend thoroughly. You want this to be thick enough to eat with a spoon! Pour into a bowl and top with your favorite toppings...I used toasted coconut, granola, bananas and chia seeds!